River North’s boundaries include the Chicago River on the south and the west. Friends of the Chicago River is the only organization solely dedicated to the Chicago River system. Since 1979, Friends has been working to improve the health of the Chicago River system for the benefit of people and wildlife and by doing so, has laid the foundation for the river to be a beautiful, continuous, easily accessible corridor of open space in the Chicago region. Every Wednesday evening, The Chicago Help Initiative (CHI) gathers at the dining hall at 721 North La Salle Street to serve a warm meal on white-clothed tables to 130 guests in a safe and dignified setting. An additional 70 individuals receive a bag meal to go. The nutritious and delicious food is provided by local restaurants and hotels from Chicago’s Magnificent Mile and River North areas. CHI serves food, but we also serve information, compassion and guidance. Before dinner, a speaker from a local organization gives a brief presentation, typically on resources on finding temporary shelter, housing, medical care or job training. During the meal, guests share fellowship and, when possible, enjoy the sounds of a local piano player, singer or musical ensemble. While at the meal with CHI, guests also have an opportunity to visit resource tables staffed with volunteers who maintain listings on a wide variety of services, including shelter, legal aid, medical care and job opportunities. CHI partners with local service agencies to provide the needed information. Furthermore, guests are given an opportunity to participate with several ongoing programs after dinner, including literacy, gardening, art classes, smoking cessation and bicycle repair. It is CHI’s mission to assist our guests in bettering their lives and becoming contributing members of the community once again. CHI is very much a local organization, drawing our support from the residents and businesses that surround us. We have only one paid staff person supported by interns, but every meal is served with upwards of 25 volunteers. We are an organization that succeeds by leveraging existing partnerships and resources. Welcome to Gilda’s Club Chicago. If you or someone you know has cancer, this site will introduce you to a program of social and emotional support that is unique in the City of Chicago. Men, women and children diagnosed with cancer and their familes and friends are always welcome here. And all of our activities are absolutely free. Gilda’s Club, located at 537 North Wells Street, is a warm and exceptional place. After traveling through our site…our virtual clubhouse…I invite you to visit the real thing. Our door is always open! 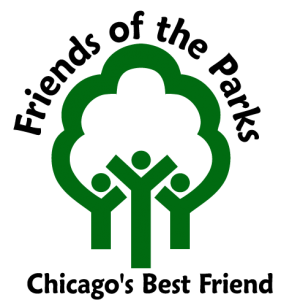 Friends of the Parks (FOTP) is a 501(c)(3) designated park advocacy organization, dedicated to preserving, protecting, and improving Chicago’s parks and forest preserves for all citizens. Since 1975, FOTP has increased its private and public commitment to Chicago’s parks through establishing park advisory councils, developing new parks, renovating playlots, and presenting public workshops and lectures to create and informed citizenry. 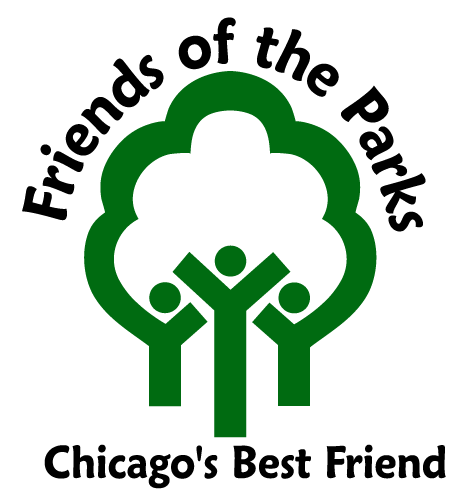 Friends of the Parks’ Mission is to preserve, protect, improve and promote the use of Chicago parks, forest preserves and recreational areas for the benefit of all neighborhoods and citizens. The Anti-Cruelty Society exists to prevent cruelty to animals and to advance humane education. Since 1899, The Anti-Cruelty Society has been committed to serving the needs of companion animals and the humans who care for–and about–them. Since 1999, the beginning of our second century of caring, we have found loving permanent homes for more than 40,000 pets, spayed or neutered more than 61,000 animals and taught messages of compassion and caring for the animals to more than 225,000 school-aged children and community groups. River North Clean Streets is a 501(c)3 nonprofit, jointly managed by the River North Residents Associaiton and the River North Business Association. This program allows residents and businesses to become a block sponsor or program sponsor (tax-deductible fee) to clean up River North streets on Saturday and Sunday mornings. River North Clean Streets uses a service to do the cleaning which helps disadvantaged Chicagoans get back to work (cleanslatechicago.org). River North is a unique and wonderful neighborhood with miles of riverfront, historic architecture, world class dining and thriving nightlife. River North Clean Streets solves an ongoing problem……………. Unfortunately, our many visitors often leave a shocking amount of litter behind when they head home after a night on the town. Since the Department of Streets and Sanitation has limited resources on weekends, the neighborhood has to live with unsightly and unsanitary streets and sidewalks until Monday morning. The River North Clean Streets Foundation has arranged for Cleansalte Chicago (cleanslatechicago.org) to tidy up our neighborhood on Saturday and Sunday mornings. In their bright yellow vests the friendly, well-trained Cleanslate crews pick up bags of garbage and recyclable materials, leaving our community cleaner, safer and healthier. On weekend mornings, the crew will pick up all trash, pet waste and recyclables on one side of your adopted block from the building face to 18″ past the curb, including one side of each intersecting street up to the alley. If you’d like to find out more on how to become a block sponsor, program sponsor or simply donate to River North Clean Streets, please click here.